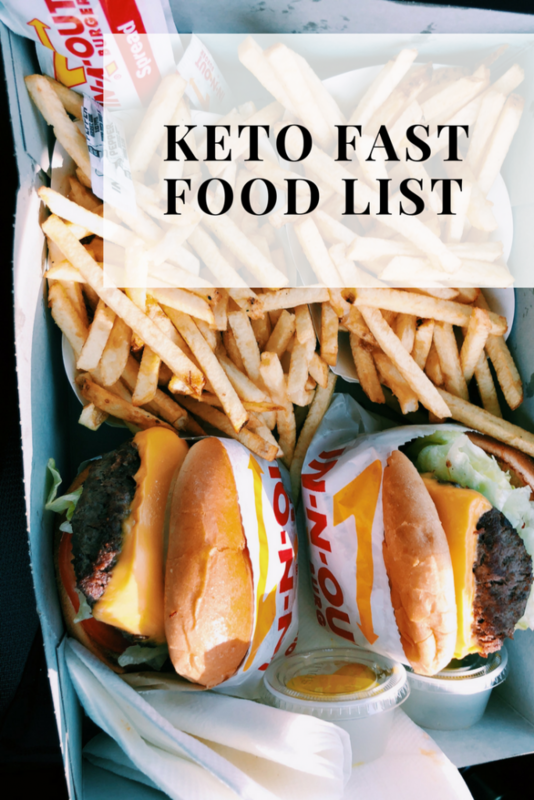 This keto fast food list is a great start for those just starting a keto diet who are used to frequently consuming fast food. This list will give you a bunch of keto fast food breakfast ideas, keto fast food lunch ideas, and keto fast food dinner ideas. Following a keto diet can be hard, and even harder if you’re traveling, forget to pack your lunch for work, or if you’re super busy and need to grab a quick bite to eat on-the-go. Many people wonder if they can eat fast food on the keto diet. And the answer is yes! While it’s not the best option for foods to eat on a keto diet, fast food can be a great alternative if you otherwise would not be able to stick to the diet. This keto-friendly fast food list will help you navigate restaurants and find the best keto fast food options for you. This list will help you maintain a ketogenic diet while eating out. What Are Some Keto Fast Food Breakfast Ideas? Many people struggle with what to eat for breakfast on a keto diet. A lot of people eat breakfast in their car on their way to work or running errands in the morning. One super easy kept fast food option is to order a breakfast sandwich without the biscuit, muffin or croissant. This could look like a sausage, egg and cheese biscuit minus the biscuit. What Are Some Keto Fast Food Lunch and Dinner Ideas? Keto lunch and dinner options thankfully are a lot more vast than breakfast. Some easy kept fast food lunch options are salads with grilled chicken or steak, protein bowls minus the rice and beans, burgers minus the buns or wrapped in lettuce, making a sandwich into a salad or lettuce wrap. What Are Good Restaurants for Low-Carb Eating? You can pretty much adapt any menu to fit a low carb lifestyle. Below I’ve listed a bunch of fast food restaurants that have the lowest carb food options to fit your keto diet. To find the nutrition information for each food, visit each restaurant’s website. Chipotle Steak, pork, or chicken salad with no rice or beans. Add guac, cheese, and sour cream. Order a burger “protein-style” meaning without the bun and wrapped in lettuce. You can do the same with two patties and call is double double protein style. You can also order the “Flying Dutchman”, which is two slices of meat and two slices of cheese without the lettuce. Lettuce wrap your burgers or have a burger in a bowl. Add on a bunch of toppings like bacon, cheese, grilled mushrooms, onions, pickles, mayo, etc. Build your own. Just order sides: lettuce, beef/chicken, guac, sour cream, etc. My personal favorite Keto Fast Food Restaurants are Wendy’s, Chick-fil-a, and Chipotle. There’s no reason to not eat keto when eating out when you have all of the above options. 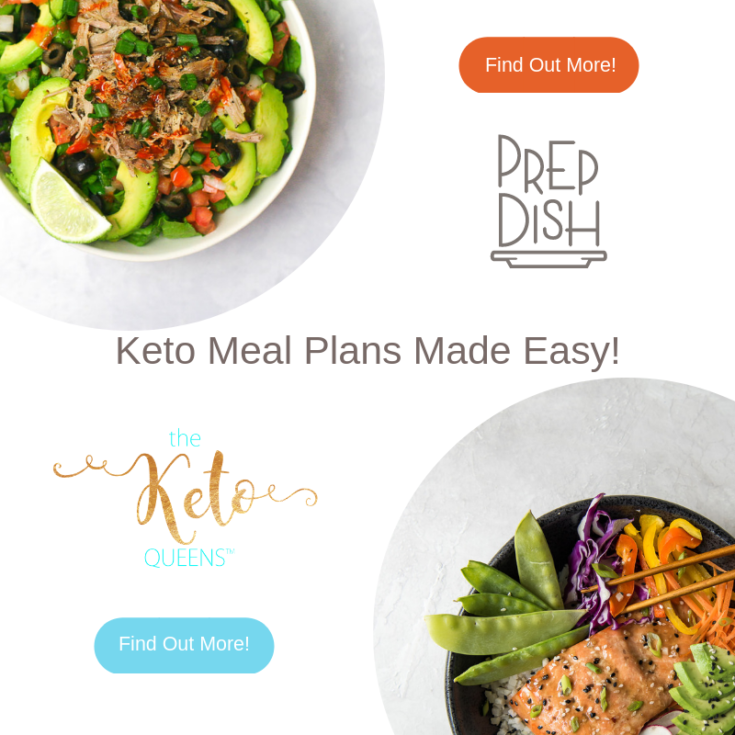 If you’re looking for keto recipes, check out all of our favorites on the blog. Thanks for the heads up – this will make vacation next week easier. THANK YOU! Finally I found something very useful to use in real life. Hi Connie, glad we could help! Yum! Thanks for the heads up! I haven’t eaten Whataburger since college (none in my small little town LOL).